Under the supervision of Trevor Hart and Judith Wolfe, Margaret’s research considers the impact of personal relationship—and especially our friendships—play in transforming how we understand and interact with the world around us. Drawing from two, oft-neglected Scottish theologians who invested their efforts in people more than pages (Thomas Erskine of Linlathen and Alexander John Scott), she asks what relevance personal relationship plays in theological education and hermeneutics. 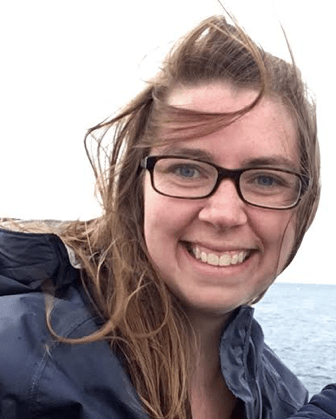 Margaret’s professional career is a testament to her multidisciplinary interests, with roles in science and technology outreach, children’s health research, and oceanographic engineering communications. She is an instructor at Regent College (Vancouver, Canada) where she teaches History of Christianity Foundations. Her speaking engagements have included sessions on theology of friendship at Abbey Summer School (Edinburgh) and the Chalmer’s Institute Graduate Exchange (St Andrews), and on the social network of George MacDonald. Currently, she serves as the TheoArtistry Composers’ Scheme facilitator (ITIA, St Andrews). While in Scotland, Margaret has enjoyed oil painting, learning to ceilidh dance, and recovering her family’s Scottish roots in Aberlour.